Bellingham Film is dedicated to providing opportunities for filmmakers to show their work. Currently, If you would like to see more festivals in the PNW and have an idea please contact us. We can team up with you or your organization to help plan, advertise, or process submissions. If you know of other festivals that are not listed, please help us add it to our list. Through an annual film festival BHRFF supports independent filmmakers, fosters dialogue and promotes action. For twelve years, volunteer committee members have selected scores of insightful and moving films they hope will encourage the community to explore and engage with critical issues. Films are followed by facilitated discussion, some led by the filmmakers themselves. See the Film History tab above for action you can take on film issues. Bleedingham is an upcoming film festival set in Bellingham, WA. The event will feature short horror films from local and Washington native filmmakers. The Bleedingham Event will be held in October at the Pickford dream Space theater. The Everett Film Festival is dedicated to highlighting the strength, humor, and creativity of women through provocative and entertaining films. Over the years, the festival broadened its view to embrace not only films primarily crafted by women but also to present movies offering insight into the lives of women from various cultures, times and experiences as they meet the challenges of work, family, aging and love. Film submissions are accepted continuously, however, the best time to ensure timely previewing for the next festival is between May and October. The Guerilla Film Project is an annual film-making competition held at Pickford Film Center. Each year high school students from across Northwest Washington gather in teams of 3-5 and race against the clock to write, shoot, cut and edit a 3 minute film in under 65 hours. 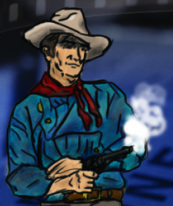 All film entries are required to use a specified line of dialogue and select props. This year’s competition will be held over President’s Day weekend. The Bellingham Music Film Festival is a collaborative effort between Western Washington University's Assistant Professor of New Media Design, Kacey Morrow, the Make.Shift Art Space, and Pickford Film Center to share the diversity of music through the medium of film. The festival features a collection of music videos, documentaries, and narrative pieces by regional, national, and student filmmakers. iDiOM Theater is committed to creating new theatrical works that dazzle and amaze. Sometimes, though, we like to dabble in other mediums. Enter the Quickshot Film Festival. Six teams of filmmakers create short films in two weeks based on the theme of the second night of the 48 Hour Theater Festival. That's a lot of numbers. It's also sure to be a great and unexpected time. Form ore info about film events and festivals in the Seattle area visit the Seattle Office of Film & Music. 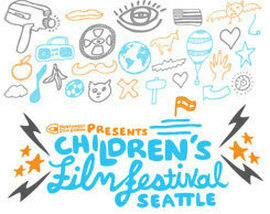 The largest competitive children's film festival in the Pacific Northwest, Children's Film Festival Seattle celebrates the best and brightest in international children's cinema, in a 10-day extravaganza of films from more than 25 countries. 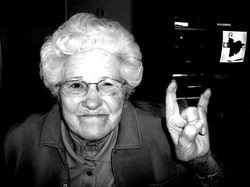 Have just closed submissions for the 2013 Festival, that will be held January 25 through February 3 at Northwest Film Forum. All entries will also be considered for REDCAT International Children's Film Festival, curated by Children's Film Festival Seattle director Elizabeth Shepherd. That festival will be held in the spring of 2013 at Roy and Edna Disney CalArts Theater, in Los Angeles. 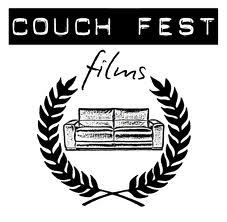 Since 2008, Couch Fest Films is an annual cozy shorts film fest hosted in people's houses all over the world all on one day. During Couch Fest Films, lovers of film can sit shoulder to shoulder watching short films while stuffing their faces with the snacks they thought they had to sneak in.Each year we present films from such festivals as Sundance, SXSW, and Seattle International Film Festival to name a few. Couch Fest Films is not an online event nor a broadcast event. We are a film festival that replaces traditional theater venues with cozy residential venues and alternative locations. So, during the festival, each host house and alternative location participating in Couch Fest Films around the world will present a unique program of short films. Local Sightings is the Northwest’s premier showcase of new films, putting homegrown talent in front of Seattle audiences and connecting artists from Alaska to Oregon in a week-long celebration of cinema from the region. Produced by Northwest Film Forum, the festival features new films, juried prizes, killer parties and national industry scouts looking for strong new work. 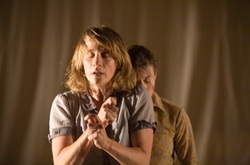 The 2012 festival includes features, shorts and documentary programming, artist conversations, art installations and industry networking events. For the first time, Velocity will be accepting submissions for Next Dance Cinema, the only dance festival in the Pacific Northwest. Next Dance Cinema is a part of Next Fest NW, Velocity's annual new works series that celebrates what's happening in contemporary dance performance and cinema. Artists are invited to submit innovative examples of screen dance that reflect the body in motion or dance-based performance. Videos will be accepted in the following categories: staged work remade for the camera, choreography created specifically for the camera, as well as the moving body articulated through animation. All work must be no longer than 30 minutes. Submissions are due November 4. Selected works will be screened on either December 9 or 10 at the Northwest Film Forum. Register for the Seattle Hour Horror Film Project now! The 5th Annual edition pays homage to contemporary Cuban cinema. Celebrating the richness and diversity of Latin American communities. The Seattle True Independent Film Festival is dedicated to the exhibition of independent, underground, experimental and zero budget films. The festival endeavors to provide cultural exchange and educational opportunities by bringing a diverse selection of films to the area and provide a place for networking between local filmmakers, visiting filmmakers and the public. The Tacoma Film Festival celebrates current independent film from around the globe. 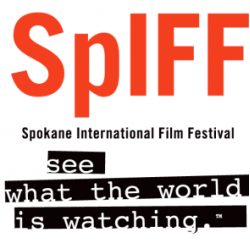 We especially encourage filmmakers from the Pacific Northwest area to submit to our festival. And we encourage all accepted filmmakers to attend the screenings and events, if possible! This is our time to celebrate you, the filmmaker, and the invaluable artistic talents that you provide to the film community. Each year we strive to enrich our community by bridging the gap between ourselves and outstanding works of independent film. The 48 Hour Film Project will return to Seattle, probably in July. Filmmakers from all over the Seattle area will compete to see who can make the best short film in only 48 hours. The winning film will go up against films from around the world for the title "Best 48 Hour Film of 2013". The submission guidelines and online submission form can be found online at http://5pointfilm.org/submit. DOCUTAH's mission is to inspire a global connection through documentary films and intellectual discussion. In doing so it intends to enhance the education of students and citizens of the Southern Utah Community. DOCUTAH 2014 Submissions are now open. MAKE YOUR MARK, a Short Film Competition Presented by the Producers Guild of America and Cadillac. Producers, regardless of experience, are invited to participate and need not be a member of the PGA to enter. All entrants will be provided the same assignment and will have exactly 51 hours to make and submit a film. 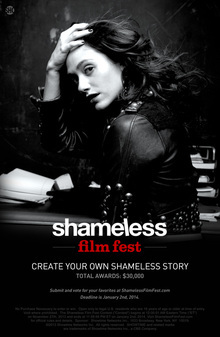 Shameless Film Fest by Showtime. The film festival is looking for creative short films that highlight the show’s “Shameless” themes. The content will be used to circulate the Season 4 Premier of the popular television show with potential to garner national attention on the network’s various channels. In addition, there are $30,000 in cash prizes. Since 2000, the festival has supported independent filmmakers and screenwriters from around the world with advice, feedback, industry connections and mentorships. Over the years thousands of stories have been artfully told. Audiences have been inspired, charmed and entertained each year. Patrons and Filmmakers connect to revel in the natural beauty of Big Bear Lake during an intimate weekend of of films, and special events.